One of Canada's leading property and casualty insurance companies - Royal and Sun Alliance Insurance, recently invited Toronto Illusionist and performer, Aaron Paterson to entertain for their summer, corporate luncheon at the lovely Oakville Harbour Banquet and Conference Center on August 13, 2010. It was a beautiful day and a fun time was had by all. When he wasn't captivating the group with his visually stunning magic he had them laughing so hard they had tears in their eyes. Throughout the 45 minute performance Aaron read audience members thoughts, caused their jewelry to vanish and reappear in the most unusual locations, and even caused a participant to become stuck to his chair. At the finale of his performance Aaron received an enthusiastic standing ovation from RSA. Royal and Sun Alliance was so pleased with Aaron's performance that they have already asked him to hold a date for a second performance before the year is out. 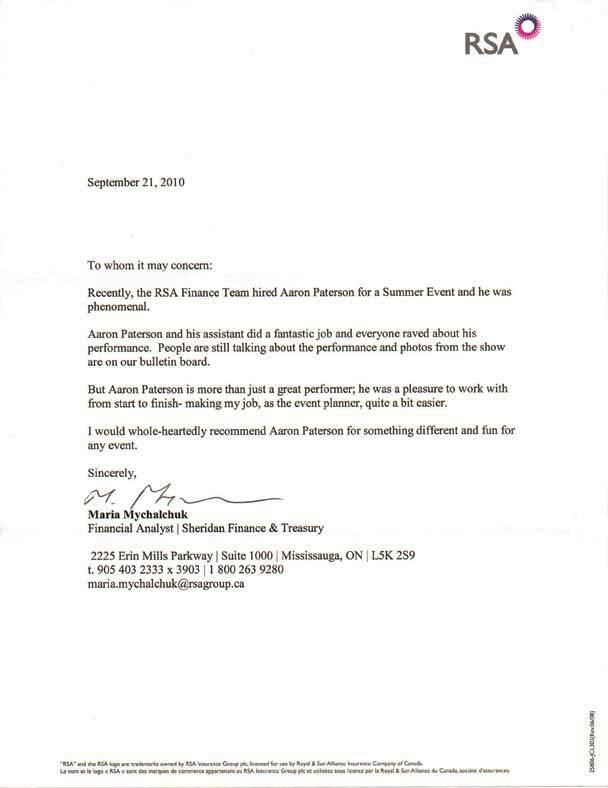 With this performance Aaron Paterson adds another satisfied customer to his evergrowing list of top corporate clients. 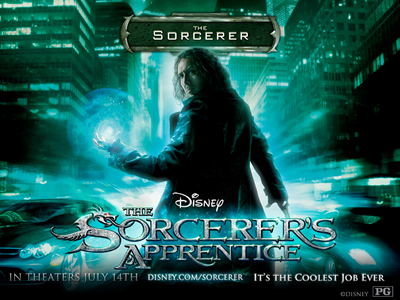 With the release date of July 14th fast approaching, Disney needed an effective way to promote their new film "The Sorcerer's Apprentice" with Nicolas Cage. They were looking for an approach that would not only spread the word about their spectacular new film's release but also create excitement about going to see it. Enter Aaron Paterson. In connection with Mosaic Experential Marketing, Aaron was recruited to creatively promote the film with his magic. 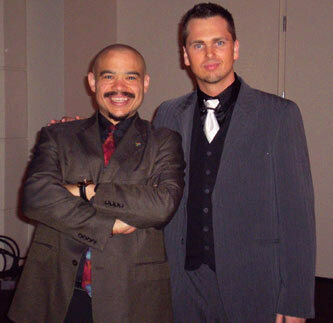 Aaron was hand picked as one of Canada's premiere magicians and illusionists because of the level of polish and professionalism that he brings to table. In the span of the two weeks leading up to the film's release, Aaron will have used his magic to entice hundreds of people to go see the movie. 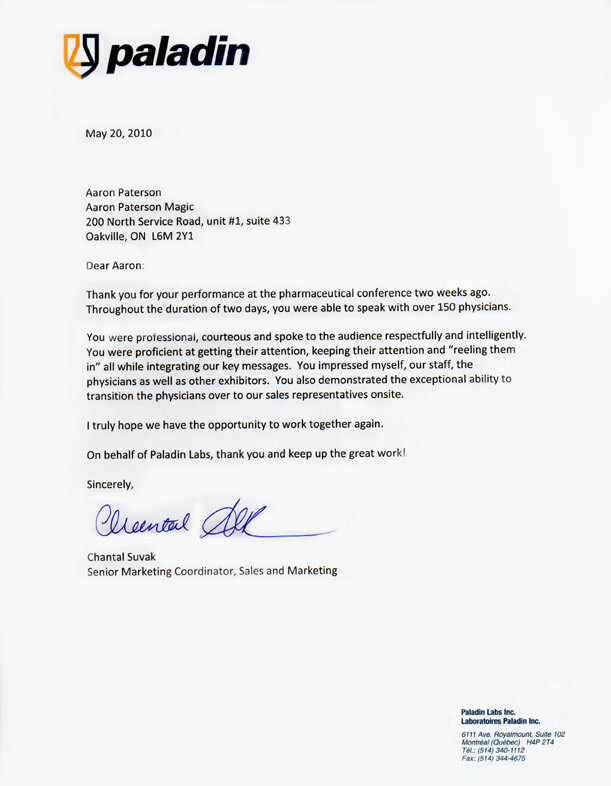 Aaron has once again proven to his client's that not only does his magic provide incredible entertainment value, but that it is also an extremely powerful marketing tool. 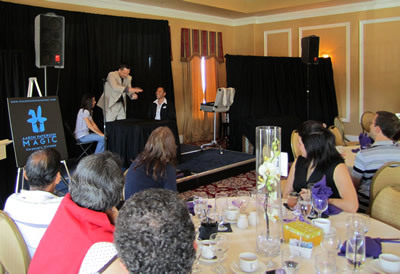 Toronto Illusionist, Aaron Paterson provides live entertainment for top Canadian law firm, Bennett Jones' at their annual lawyer retreat. 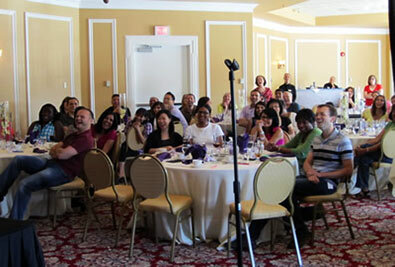 For the fifth consecutive year Toronto Illusionist, Aaron Paterson provided top Canadian Law firm Bennett Jones LLP with live entertainment for their annual lawyer retreat. 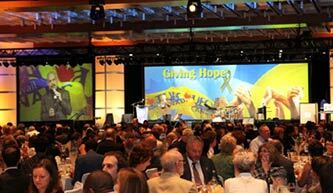 This year the event took place at the fabulous Red Leaves resort in Muskoka, ON Canada on May 15th 2010. Aaron once again displayed his versatility when he was able to provide them with an 80% new show as a lot of the guests in attendance had seen him perform before. As usual Aaron was a hit and looks forward to working with Bennett Jones on future events. Click the "PLAY" button above to view a brief excerpt of the performance. Make sure that the volume on your computer is turned up to catch every little nuance. Toronto Illusionist, Aaron Paterson was honoured to have performed for the UFCW 21st annual gala evening in support of Leukemia research on June 11, 2010 where he aided president Wayne Hanley in revealing that the UFCW Canada members, friends and supporters had raised a total of $1,914,262 for leukemia research in 2009-2010. 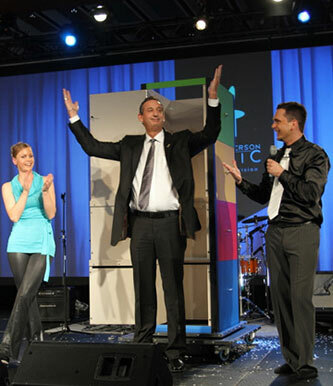 Aaron opened the evening with his unique brand of comedy, magic and illusion and astonished the 800 attendees when he made UFCW national president Wayne Hanley magically "appear" at the finale of his performance. The voice of the Toronto Raptors, Herbie Kuhn, did a phenomenal job of hosting the event and Aaron thoroughly enjoyed working with him. Other highlights of the evening included the polished sounds of Toronto based band Ascension Groove as well as the very talented Caribana dancers. Aaron Paterson makes the national president of the UFCW Wayne Hanley magically "appear". Wayne was a natural! Special Guest MC for the evening Herbie Kuhn "The voice of the Toronto Raptors" introduces one of the top Toronto corporate event entertainers Aaron Paterson. Aaron Paterson and "The voice of the Toronto Raptors" Herbie Kuhn just before their performance. 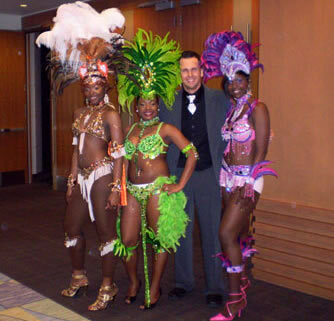 Aaron and the Caribana Dancers just after their performance. 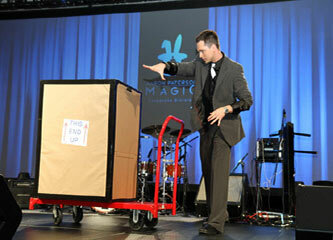 Paladin Labs retains the services of Toronto Illusionist, Aaron Paterson to help create product awareness at the Primary Care Today Conference and Trade Show in Toronto. Copyright © 2005–2019 Aaron Paterson Magic, All Right Reserved.